Do you know how you think? It’s both simpler and more complicated than you might imagine. It turns out that we have not one but two thinking systems. One is fast, automatic, and doesn’t require much energy. The other is slow, requires a lot of energy, and activates only when needed. Both systems are naturally good at grammar. Neither system is good at statistics. Why do we need two systems? Because much of our life is filled with routine. Rather than using our slow, energy-hungry system to deal with routine matters, we’ve developed a fast, energy-efficient system to handle daily activities. That’s why we can drive 50 miles and not remember any of it. That’s why we can enjoy a walk in the park while our mind is in some other universe — being creative no doubt. Notice, however, that what’s routine to one person is exotic and complicated to another. What’s routine to an airline pilot would be complicated, confusing, and downright scary to me. We train our fast, energy efficient system with our experiences. As we gain experience, more things become routine. 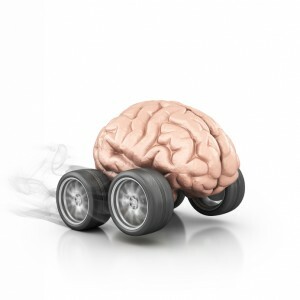 We can do more things on auto-pilot, while turning over the creative thinking to our energy-hungry system. That may be why Earl Weaver, former manager of the Baltimore Orioles, titled his autobiography, It’s What You Learn After You Know It All That Counts. Psychologists have named our two thinking systems — rather prosaically — System 1 and System 2. System 1 is fast and always on. You can’t tun it off. System 2 engages at various times — especially when System 1 encounters something out of the ordinary. System 1 knows the “default” value — if everything is routine, just select the default action. To select something other than the default value, you typically need to fire up System 2. In Thinking Fast and Slow, Daniel Kahneman tells a story about parole boards in Israel. For parole judges, the default value is to deny parole. Judges have to find something positive and think through their position to approve parole. As a result, you’re much more likely to be approved for parole if your case is heard right after lunch. Immediately after eating, the judges have a lot of fuel for their brains and find it much easier to activate System 2. Thus, it’s easier to override the default position. While System 1 is critical to our daily living, it’s also prone to specific types of errors. Indeed, psychologists have cataloged 17 different classes of System 1 errors. As we probe more deeply into critical thinking, I’ll provide an overview of all 17 and will delve more deeply into a few of the more common issues. Each time I review the list, I can recall a whole host of errors that I’ve made. Frankly, I’ll probably continue to make similar errors in the future. By understanding the types of errors I might make, however, I can check myself and maybe activate System 2 more frequently. As you read through the 17 types of System 1 errors, think about your own experiences. If you have good examples, please share them.